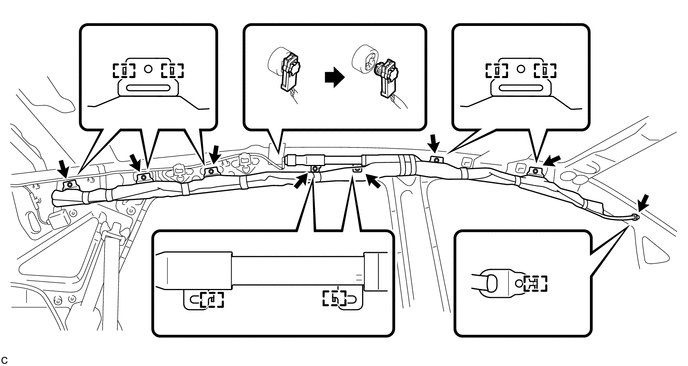 (c) Using a screwdriver with the tip wrapped with protective tape, disconnect the curtain shield airbag connector. (d) Remove the 8 bolts. (e) Disengage the 13 hooks to remove the curtain shield airbag assembly.